Connect with us on our Channel Career Growth . Happy Viewing Careers! Do subscribe and share. In this episode, Ms. Suchitra Surve talks about the tips to enhance presentation skills. Now, Presentation is not confined to schools, colleges or Postgraduate programs. Even as working professionals require good presentation skills. Presentation skill will be required to sell, convey, convince or inform about the work a company or organization does. To overcome the stage fear or talking in front of people you need to focus on the content such as is the content presented well, is it audible, understandable and simple. This helps in making the presentation is far easier. While making the presentation focus on the content, fonts and keep it as simple as possible. Ensure the slide is able to convey what you want to say. A slide is there to support you and not replace you. Don’t read everything that is mentioned on the slide or put everything that you want to say on the slide. Ensure that the audience is engaged and involved with you and listening to you. Prepare well for the presentation skills. For organizational presentation focus on your services, products and facts as that will make the presentation different. One of the key aspects while presenting is how you present which involves your body language, diction, and accent language proficiency and confidence. For ensuring that you have a proper body language practice is essential. Record yourself and see how you are presenting, practice in front of the mirror, or in front of your friend who can give the right feedback to make the right changes. For Language proficiency or diction only way is to practice. Speak record, hear, listen and change. Listen to people who are good orators. Find what is mesmerizing about them. Try to imbibe but don’t imitate them as presentation should be your unique self and your identity. If your homework is right or content is right you need not to get nervous. Don’t by heart the content, know the content by heart simply put understand the concept, know your audience and accordingly prepare your content. Most important while presenting is the duration is another factor. To long presentation may make people bore or wait for the other speaker and that’s the beginning you might fail at the first go but don’t lose heart and don’t give up. Keep on practicing and keep on trying and grab every opportunity you get to present in front of people. For more information, please visit our website www.growthcentre.org or call us on below numbers. When we hear the word ‘Pharmacy’, instantly what comes in our mind is Medical Store or Chemist, right. But, Pharmacy is much beyond that. As a field, it has contributed to the upgradation of medicine & drugs, right from the discovery of medicine for life-threatening diseases to a large amount of availability of medicine for maintaining a healthy lifestyle. The study of Pharmacy involves all the stages related to a drug, i.e- from its discovery, development, action, safety, formulation, usage, quality control, packaging, storage, marketing, etc. Thus the profession of pharmacy has transformed into a hub for the ''Global Healthcare'' and evolved as a multidisciplinary, versatile curriculum. To pursue the course in pharmacy you have various options like you can enroll for a diploma program immediately after class 12th. To pursue graduation in pharmacy you need to study 10+2 science with physics, chemistry, Maths, and Biology as your subjects. After appearing board exams you need to clear relevant entrance exams for the same. After graduation interested candidates can pursue higher education like Masters followed by Ph.D. or they can start working. The duration for the diploma course is two years, Graduation is four years and Masters is two years. Nowadays various universities have started offering integrated programs in pharmacy which is in combination with Bachelor’s and master’s program. You expected to clear relevant entrance exam of that respective institute or universities. Also, there are universities which have now started offering Pharm. D as an option for which entry is based on the entrance exam scores. It is six years course duration after class 12th. Studying pharmacy enables you to develop skills specific to the role of a pharmacist including knowledge of facts and theories relating to the design and manufacture of medicines, the ability to communicate effectively with patients and other health professionals, production of pharmacy-specific scientific documentation, operation of pharmaceutical instrumentation, knowledge of the law and ethical concerns relating to the supply of medicines and analysis of medicines. The job avenues for a pharmacist are in the pharmaceutical industry, government departments, Hospitals/ Health Centre’s, teaching in educational Institutes, investigation and research institute, etc. Drug control administration and armed forces also offer a wide range of opportunities to pharmacists. The food and cosmetic industries or within any other industry that requires the assurance that new products are as safe and effective as possible. Pharmacists are hired within the Pest Control Division of Agriculture as well. Nowadays in retail, Pharmacy has varied duties, including buying and selling of related items demanded by the public. 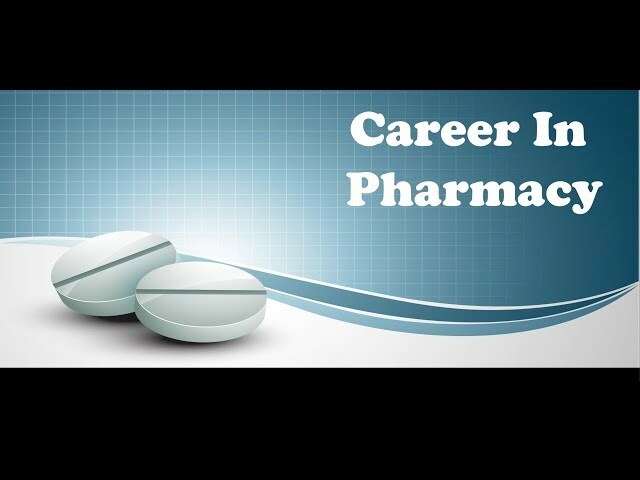 Pharmacy is among those career options which can provide never-ending opportunities for growth and success. With the increase in health care and the discovery of new diseases pharmacy is the only option to ensure better health and fight diseases. So if you are interested in becoming a professional who works towards combating diseases then pharmacy is the answer. IQ, Aptitude or Interest - What is more important? Ms. Swati Salunkhe in this episode shares her experience of 18 years. Many people have discussed on various topics. Many people are talking about following passion or interest or intelligence or personality. This is a question which would be bothering you all. As a counsellor, it is suggested that none of them can be taken in isolation. Having passion and not having aptitude for the same may put more years of studies and work. A lot of parents want their children to follow what they like to do or their passion lies or whatever is his/her interest. We are living in an age were in there are multiple interests and there are people who are still unclear about their own interest. Passion requires a lot of patience. You need to have right kind of skill sets and attitude to know what exactly is you passion. Interest fades away with time and with experience it may changes. Very few people have the same interest. It need not be the same for everyone. People may have interest and no aptitude, might have an aptitude but no interest. You need to have great synchrony or culmination of all this and yes we need to consider personality as well as your IQ as certain careers require high IQ levels were as for certain careers you personality demands certain traits which need to be present. So it has to be interest, aptitude, intelligence and personality. When the war between interest and aptitude starts definitely aptitude is to be given more of a weightage. The advantages are different. You need to know what exactly your interest is as it might be just a cursory thing as many are just curious to know. But it may not be your ability or you may not enjoy it forever. If something really interests you it can be your hobby too. Few people have being able to convert their interest or hobbies into careers. If you have decided to follow your interest only, then be prepared to go through the challenges and convert those challenges into opportunities. For better career choices ensure that your IQ aptitude and personality are in sync with each other and of course then little bit of interest is also fine. Parents find it very difficult to break their child’s heart and teenagers find it quiet revolting or it does not make any sense to them and they might have decided for themselves. Everybody would be right in their places but it may turn out to be your wrong decision which you may get to know later on. So it’s important o come to practical realities. Yes, there are people who have followed their interest and made their own mark in their careers. But it is important to look through their journeys too. Just remember that interest fades or changes, personality gets molded, IQ and Aptitude are something which we all are born with. 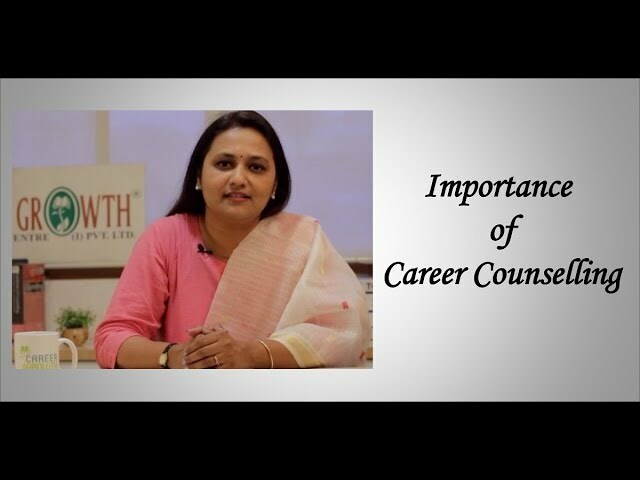 In this episode, Ms. Suchitra Surve talks about importance of career counselling. Parents and students are getting information related to Careers, but the question is how to choose or select a career. We are living in time were there are a lot of assessments like online, psychometric or aptitude tests or interest test the list long and confusing. Psychometric assessment, interest test, Aptitude test for choosing a career, Test for recruitment, banking or taking up a course or job which leads to confusion. Psychometric assessments are developed by psychologists and standardized on certain population, validated and then gone to the public for use of assessments and there by career selection. These tests are very different from the popularly known as aptitude tests as these test focus on only one or two aspects. It might be related to that specific career or course they are offering or an industry that they are looking at. Assessments that are done for career counselling have many aspects to it. It involves identifying intelligence, basic aptitude; it might be in numerical, mechanical, spatial or verbal skills and assessment of personality and also of your interest. After the assessments batteries are done the report is generated and interpreted by a counsellor. By counsellor we do not mean somebody who is selling a course. But somebody who is professionally qualified and has relevant degrees and the authority to under the results, interpret and match the results with personality with the profile. And that’s the team at Growth Centre focuses on, so that we can reach larger students and help students and enable them to make right career choices based on their profile. Step one of assessment is done be it online or offline but be sure that the right kind of professional is counselling you with that report. It is not a just a software generated report but report needs to be interpreted and spoken to you and discussed with you. We at Growth Centre follow this process because we think a person is beyond just the profile. There are a lot of aspirations, expectations and a lot of confusion that are there in the minds of parents and students. So in counselling session all this is discussed. We do identify why a particular career will be more suitable, why not a certain career, what are the procedures that are involved, what are the possible entrance exam that need to be taken or what are the loop holes, what are the advantages of selecting a particular career. It’s all discussion based and information based and that’s how enabling the right career choice is easier. There are times a career counselling session ends at a thought process were we tell students to think about it as there are times when certain suggestions are given which you have not thought of. So take some time and get back to us. The teachers are very helpful and clear about the topics. I liked the experience, both in SAT and TOEFL preparation. Extremely useful. It helped me to understand what options I had and what i really need to do. It helped me filter all my options and opt for the best one. Amazing experience in all. Overall very good. Counsellor was well prepared with students personal information and took the time to make personalised documents. The session was very informative. It helped a lot in planning for my future and what I should do for my post graduation and how I should prepare for studying abroad .